Hector Sandoval's second EP for Soma finds him in impressive form. Favouring the kind of heads-down dance floor approach that has become the Tensal project's signature, the three instalments of "Proton" are tailor-made for dark, sweaty basements. 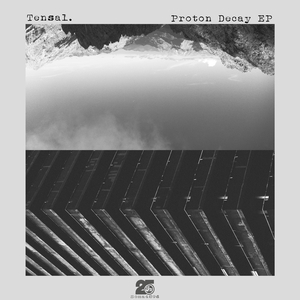 "Proton 1" is a pulsing, tunnelling groove that has echoes of Sandwell District at their most linear, while on "Proton 2", the Spanish producer draws on the influence of late 90s techno to create a dense, loopy roller. The most intense track is left till last - inspired in equal measures by the white noise whooshes of late stage mmml and the wiry acid of Uwe Schmidt, Sandoval takes these seemingly incompatible elements and unites them over an abrasive rhythm.